Provide comfort for the family of Athanasius Lim with a meaningful gesture of sympathy. 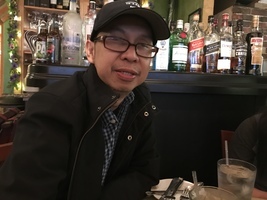 Athanasius Oscares Lim, a resident of Wappingers Falls since 1997 and formerly of Yorktown Heights, died on Wednesday, March 13, 2019 at Vassar Brother Medical Center in Poughkeepsie following a courageous battle with cancer. Son of the late Eugenio E. and Rufina S. (Oscares) Lim, Athan was born in Iloilo, Philippines on November 1, 1963. On June 11, 1994, he married Daisy S. Villanueva in Cavite City, Philippines. Athan worked for nearly 20 years as a sales associate for Wal-Mart in Fishkill. 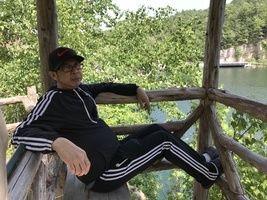 In addition to spending time with family and friends, he enjoyed various hobbies, especially basketball. His wife Daisy survives at home in Wappingers Falls, along with their daughter Sophia Kristin. Additional survivors include his sister, Ofelia Roldan & her husband Edwin of Yorktown Heights; his brother, Elpidio Lim & his wife Lisa of Mohegan Lake; his brother, Noel Lim & his wife Zenaida of Wappingers Falls; his brother, Adam Lim & his wife Gloria of Wappingers Falls; his brother, Eden Lim & his wife Nelia of Yorktown Heights; many nieces and nephews; and other loving relatives & friends. Athan was predeceased by his father, Eugenio in 2006; and his mother, Rufina in 2011. Calling hours will be held from 4 to 7 p.m. on Saturday, March 16 and Sunday, March 17 at the McHoul Funeral Home of Fishkill, Inc., 1089 Main Street, Fishkill. A Mass of Christian Burial will be offered at 10:15 a.m. on Monday, March 18 at St. Mary, Mother of the Church, 106 Jackson Street, Fishkill. Interment will follow at Rose Hills Memorial Park in Putnam Valley. For online tributes, you can visit Athan’s Book of Memories at www.mchoulfuneralhome.com. 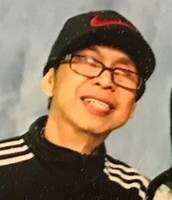 Consider providing a gift of comfort for the family of Athanasius Lim by sending flowers. We encourage you to share your most beloved memories of Athanasius here, so that the family and other loved ones can always see it. You can upload cherished photographs, or share your favorite stories, and can even comment on those shared by others. Athan is a wonderful person. We remember the times we hang out at Kabayan store after work on Saturdays just talking, watching Filipino Movies. We hang out until it is time 4 time 2 close the store. He will be missed but never forgotten. Rest in peace Athan!